Six years earlier I had started my first blog, not knowing anything about blogging or WordPress. In 2007 and 2008 I worked on the blog in the evenings and on weekends, around the schedule of my full-time job. Late in 2008 I was able to quit my job to run my blog full-time. In 2010, I had my first year of six-figure income from blogging, and I continued to manage and grow that blog until I eventually sold it for $500,000 in 2013. When I started my first blog, I don’t think the idea of selling it for half a million dollars ever crossed my mind. But going through the process of building and selling that blog taught me a lot of valuable lessons. Thanks to those lessons, I’ve been able to sell other blogs for six figures since then. In 2016, I sold another blog for $500,000 and in 2018 I sold one for $216,000. The cool thing about blogging is that once you know how to do it, you can repeat the same process. When I sold my blog in 2013 I did a few things right, and I also made several mistakes. Fortunately, the mistakes taught me valuable lessons, and each time I’ve gone through the process since then I’ve been able to avoid the same mistakes. In this article I’d like to cover some of the most valuable lessons I learned about selling a blog, and hopefully this will help you to avoid some mistakes and make your own blog as valuable as possible. I’ve been running my own blogs full-time for 10 years, but I’ve never referred to myself as a blogger (unless I’m talking to other bloggers). Although there are plenty of bloggers who’ve made a great income, I think most people still assume that a full-time blogger lives in his/her parents’ basement and is socially awkward. The truth is, a profitable blog is a legitimate business, and any legitimate business has value if it is making money. 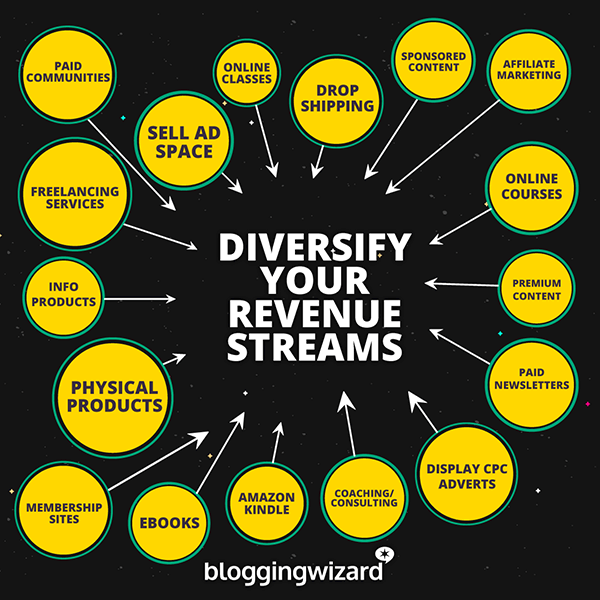 There are a lot of different ways to make money with a blog, including ad revenue, affiliate marketing, creating and selling your own products, premium content, and publishing sponsored content. Because a profitable blog is a legitimate business with value, there are people who are interested in buying successful blogs. Actually, there are probably more buyers/investors than you would expect. When I sold my blog for $500,000, I sold it to someone I knew. I emailed about 10-15 people in my network who were well-connected to let them know about my interest in selling. Some of them had purchased other websites or blogs in the past, and most of them ran other profitable websites in my niche (web design). Just from reaching out to a handful of people in my network, I had several people with some level of interest in buying the site. One was more serious than the others, and he wound up buying it from me. These were just people that I had met through the course of running the blog for a few years. If none of them had panned out I probably would have listed the site with a broker who would have been able to identify other potential buyers for me. I certainly wasn’t an expert when I sold my blog for $500,000, and with the help of brokers, anyone can sell a website or blog. I wasn’t exactly sure of what I was doing, but once I found the right buyer things just progressed naturally from there. I did hire an attorney to review the agreement that we were using, and I highly recommend getting an attorney’s advice. My attorney made some changes to the language in several areas of the contract and explained the reasons why. In 2018, I sold a blog through a broker for the first time. In the past I had avoided brokers because I didn’t want to pay the 10-15% fee, but honestly, I had a great experience. By going through the broker I had 2 solid offers in less than a week, a got a higher price than I expected, and the deal was finalized in under a month. If you haven’t sold a blog before, or if you’re intimidated by the process, hiring a broker is a great option. In case you’re wondering, Quiet Light Brokerage is the one I used. Others like Empire Flippers and FE International are also popular. The amount of money a buyer is willing to pay will be impacted by their assessment of the risk associated with purchasing your blog. One of the best ways to reduce the risk for the buyer is to have multiple streams of income. If your blog is only making money in one way, the buyer will be at a greater risk. But if your blog has diverse income streams, the buyer is likely to feel more comfortable with the purchase. Early on in my blogging career, almost all of my income was from ad revenue. I was making pretty good money, but a drop in traffic would have been really bad for my business. Later, I started selling my own digital products, which helped with diversification. The last year I owned the blog I focused on increasing revenue from affiliate programs, and that really took the blog to the next level. Having 3 solid sources of revenue (ads, products, affiliate marketing) helped to make the business more attractive to buyers. When it comes to selling a website or blog, the biggest question most people have is “how much is my site worth?” The truth is, your site is worth whatever someone is willing to pay for it. Every buyer will have a different approach for determining what they are willing to pay, but typically the profit earned by your blog or site will be by far the biggest factor. For example, the buyer may be willing to pay 36 times your average monthly profit. So if your blog earns $10,000 in profit per month, the buyer might be willing to pay $360,000. There are a lot of different factors, including the diversification of income that was mentioned in the previous point. If you’re considering selling your blog, I’d recommend talking to a broker. Most brokers will give you a free consultation so they can give you an estimate in terms of what they would likely suggest as an asking price for your site. Even if you decide not to move forward with the broker, getting their feedback on the value of your site can be really helpful. In terms of valuation, remember that all you need is to find one buyer that’s willing to pay your price. Every potential buyer will have a different valuation in mind, and there can be huge fluctuations and differences between the prices that buyers are willing to pay. Having multiple buyers who are interested can help to give you more options, or potentially to increase the price through a bidding war, but really, all you need is one qualified buyer. Most blog or website sales don’t happen instantly. A lot of the timing and pace depends on the buyer, and smaller transactions will often be faster, but you should anticipate that it will take some time. When I sold my first blog for $500,000 it took about 2-3 months from the time I started contacting potential buyers until the time the agreement was signed and the money was in my bank. I emailed 10-15 contacts, had conversations with a few of those people, and came to an agreement with the buyer in about 4-6 weeks. Then it took another month from the time we had a verbal agreement until everything was finalized. I’m not sure why, but I underestimated how much time would be involved with selling a blog. I know other people who have gone through a process of six months or more. The biggest takeaway from this lesson is to plan ahead and assume that it will take some time. The buyer will perform their own due diligence, and they may also need to get financing in order. In the case of my first $500,000 sale, the buyer was forming a new LLC, so that took a few weeks. It’s likely that the buyer will want or need some assistance from you during and after the sale. Some buyers will ask for a standard operating procedures manual or videos to show them the basics of what they need to do to maintain the site. This might sound intimidating, but it’s not bad. Basically, you’re just explaining your daily/weekly/monthly process for managing the site. The buyer will almost definitely have questions that come up after the sale, so be prepared to offer some support. My attorney advised me to include details in the agreement in terms of my availability, the number of hours, and the length of time I was willing to provide transition assistance and training. For example, the agreement said I would be available and willing to help the buyer for a total of 40 hours over the course of the next 30 days during the hours of 9:00 am – 5:00 pm Eastern time, Monday through Friday. Specifying your availability and responsibility in the agreement eliminates any confusion or misunderstanding, and it prevents you from being responsible to help the buyer indefinitely. If you plan ahead, you can make the transition process easier and smoother. There are a few specific details that you can take care of in advance, and probably the biggest one is web hosting. The ideal situation is to have the website on its own hosting account so you can simply transfer ownership of that account to the buyer. Just give the buyer your login details and they can update the payment method so they will be billed instead of you. Doing it this way means that you won’t have to transfer the website to a new host at the time of the sale. If you have your blog on the same hosting account with some other sites or blogs that you’re not selling, you’ll need to separate them. If you think you’re going to sell the blog, I would go ahead and put it on its own hosting account and move it now, so you won’t have to deal with that when you sell. Buyers will usually prefer to simply take over your hosting account rather than needing to move a site after they buy it. This can also impact other services you use that are related to the blog. For example, I’ve moved email lists to new accounts in preparation of selling a blog. I used to have one GetResponse account with lists from a few different blogs, and I separated them to prepare to sell one of the blogs. If you can plan and take care of details like this ahead of time, you’ll make your life and the buyer’s life easier. Plus, you’ll avoid potential hold ups of the sale because of complications with a transfer. Keeping accurate records can make your life a lot easier when it comes to selling your blog. This applies especially to financial records, like tracking your revenue and expenses. From my experience, if a buyer sees well-organized, detailed records, they will have more confidence dealing with you. You don’t need to have any kind of fancy system. Just make sure that it is accurate and thorough. I’ve been blogging full-time for 10 years and I don’t even use any kind of dedicated accounting software. I record everything in simple spreadsheets, but it’s detailed, complete, and easy for potential buyers to understand. This also applies to more than just financial records. You should also have a list of all logins and accounts associated with the blog, including affiliate accounts. If you have this stuff ready to go, you’ll save yourself a lot of headaches when it comes time for the sale. One of the first questions a potential buyer will ask is “how much time do you spend working on the blog?” They may also ask specifically how you use that time and what you work on. Keep in mind that a buyer is an investor. Most investors do not want to buy a job. They will probably be outsourcing all or most of the work, so the less time you spend on the site, the better it will be for them. If you’re thinking about selling your blog in the future, I would recommend taking a look at how you’re currently spending your time on the blog. Make sure that everything you do is clearly necessary and generating a return. Chances are, you’re probably doing some things that don’t make much of a difference, and you could cut back. About 6 months before I sold my blog I decided to cut back on a few things that took a lot of my time but didn’t really generate any income. I cut back from about 40 hours per week to about 20 hours per week, and actually increased my income and profit during that time. I focused on the tasks that really made a difference, and I increased the value of my blog. Since most buyers will be outsourcing the majority of the work, you can make it easier by already having some freelancers in place. If you already have quality freelancers who are working for you, most buyers will prefer to continue working with them rather than going out and finding their own freelancers that may or may not do a good job. 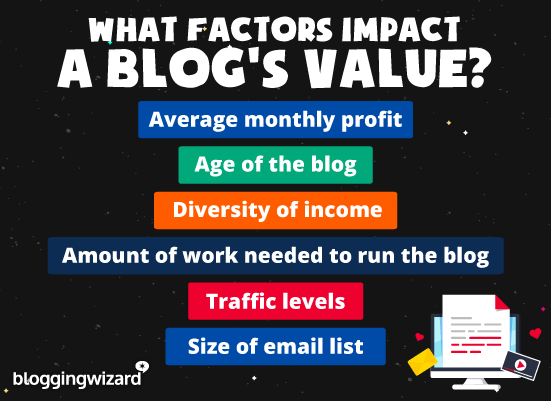 Buyers will attempt to estimate their costs of running the blog when they are determining what they can pay. If you already have freelancers in place, they won’t need to estimate on costs. For example, if you have a freelancer who writes the majority of your content and you pay them $75 per post, the buyer knows exactly what they will need to pay for content going forward. But if you’re writing all of the content yourself, the buyer has to guess as to how much they will need to pay for content, and they may guess on the higher side to be conservative. In this case, having the freelancer in place can help you to get more money for the sale. If you’re currently doing all of the work yourself and you don’t use any freelancers, I would suggest starting to look for freelancers if you think you might be selling the blog. You can either hire a freelancer on a small scale (for example, outsource 10-20% of the content), or even just look for freelancers to get an ideas of who is available and what they would charge. You can always pass that info on to the buyer to show what it would cost for them to outsource the work. When it comes to the negotiations, you may need to have some flexibility, and be willing to use some creativity. For example, both of the blogs that I sold for $500,000 involved the final 20% being paid after 12 months. In both cases the final payment was guaranteed and not contingent on the performance of the site, but delaying the last 20% of the deal made it more feasible for the buyer. An ideal situation usually involves 100% of the money up front at the time of the sale, but that won’t always be possible, especially on larger deals. I’d recommend talking to your accountant and your attorney about these options. For the agreements that involved a delayed payment, I got a personal guarantee signed by the buyer, which gave me a little more security. Selling a blog can have a big impact on your tax situation. I suggest talking to an accountant ahead of time so you’re not shocked by a big tax bill. Spreading the payment out can actually help with taxes. That’s one of the reasons I was willing to take 20% of the payment a year after the sale, because it spread out the money and the taxes owed. The are a lot of things to love about selling a blog, especially the lump sum of money that you’ll get. But keep in mind that you’ll lose the ongoing income from that blog. If you want to keep making money online, you’ll need to start over. When you start over, you’ll benefit from having the knowledge and experience that came with building your first successful blog, but starting over is not easy. The early months of building a blog are the hardest, and honestly, after running a successful blog for a few years, I kind of forgot just how hard it was to get things rolling. 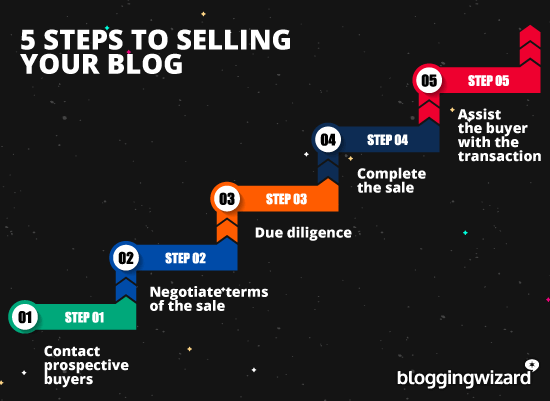 Before you sell, be sure that you are ready to start from the beginning if you want to have another successful blog. Building and selling blogs has been a big part of my business model, and it definitely presents plenty of potential to make money. Going through the process has taught me plenty of lessons, and I hope the things that have been covered in this article will help you if you have any interest in selling your blog sometime in the future.